Sweet Home | American Forest Management Inc.
A large, riverfront tract just over ±118 acres. 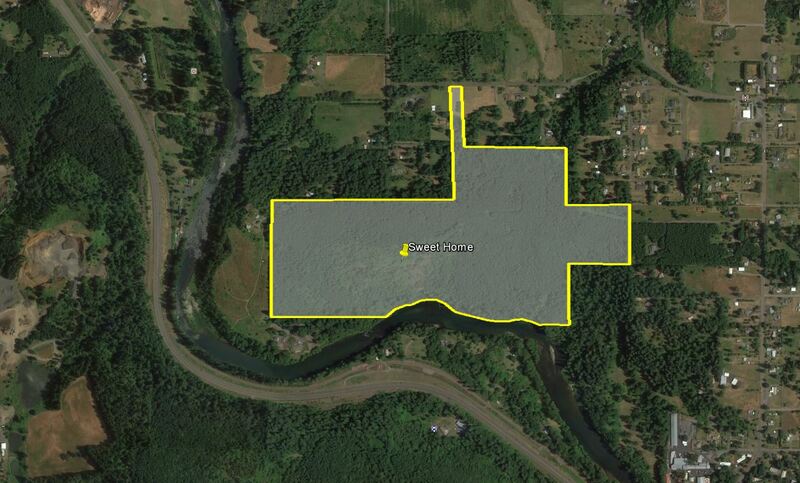 It is located outside the quiet town of Sweet Home with more than a quarter mile of frontage on the South Santiam River. This beautiful property is stocked with a healthy mix of Douglas-fir, the majority being approximately 28 - 35 years of age. Privacy and views abound while there is development potential subject to county standards, buyer to do due diligence in regards to it. Power available. From I-5 North take exit 216 for Brownsville/Halsey, then turn right onto OR-228E for 18.5 miles. Turn left onto 1st Ave for .3 miles, then right onto Main St and take an immediate left onto Pleasant Valley Rd. Follow for 1 mile then fork left to stay on Pleasant Valley Rd and continue straight onto Port Dr for 0.4 miles, then left onto Walkerwood Ln. Hi, I'm interested in the Sweet Home in Linn County, OR, and I'd like more information. Can you help?